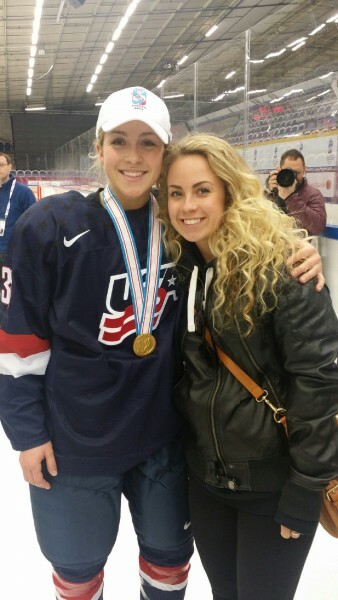 Zoe Hickel, Boston Pride. Courtesy Zoe Hickel. Earlier this year it was announced that National Women’s Hockey League would begin its first season this fall. The move is huge for women hockey players, who until now had little to no options to pursue their careers past the college level. One of the women who will be playing in the NWHL’s inaugural season is a born-and-raised Alaskan. Full disclosure: I know almost nothing about hockey, and even less about women’s hockey. During this story, some dumb questions will be asked. Zoe Hickel is running on a treadmill. “Have you ever been interviewed while running before?” I ask. “I can’t say that I have,” she laughs. In case you’re wondering she is indeed related to Alaska’s ex-governor Wally Hickel. But Zoe had a different calling in life, and it’s one that keeps her in the gym a lot. Photo courtesy Zoe Hickel, left. When Hickel was growing up she was an avid skier and hockey player. But then high school came, and she was forced to choose between the two. She chose hockey. The choice wasn’t an easy one. After all, there wasn’t a girl’s hockey team at Anchorage’s East High School, so she played on the boy’s team. Hickel says she wouldn’t change any of it. “I’m sure there were some guys that didn’t like me, or like playing against me but for the most part it was a great town with good support. My coaches supported me and my teammates supported me, and as long as that was happening I felt safe there,” she says. After High School Hickel went on to play the collegiate circuit for the University of Minnesota-Duluth as a forward. But as she was finishing up college, she realized her time playing hockey professionally was likely coming to an end. And then, earlier this year… news broke about a new women’s professional hockey league. The National Women’s Hockey League debuts with four teams. Shortly after the announcement Hickel was contacted by the Boston Pride, and it didn’t take long for her to agree to terms with the team this season. 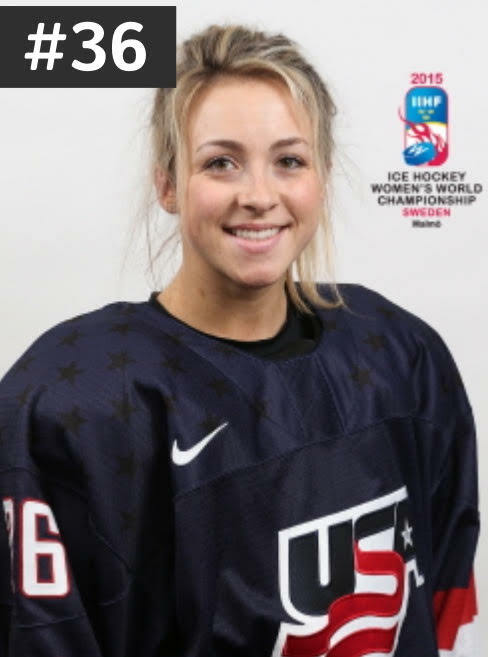 She says she’s thrilled to be making history, and hopes the NWHL can change the stereotype that girls shouldn’t be playing hockey. All right, dumb question alert. I can’t help but ask about the only thing I know about hockey; will there be fighting? All joking aside, Hickel says she couldn’t be more excited to keep doing what she’s wanted to do since she was eight years old. Last bad question, I promise. “So no chance of you becoming a politician any time soon like your Great Uncle?” I ask. I’m sorry. I had to. Hickel begins her first practice for the Boston Pride this Tuesday.